At Fancy Homes, we blend contemporary style with the classic good looks of leather furniture. The leather sofas we have for sale online offer the same great value as the leather sofas sold in our Sydney and Melbourne stores. We know what features are important to you when you buy a leather couch. You want quality construction and high-grade materials, stylish good looks, and the best possible value. That’s why our leather couches are custom made to suit your taste and needs. Choose from a range of styles including leather lounges, leather chaise sofas, modular couches, leather corner lounges and recliner suites and modify your suites colour and leather type to tie in with your own unique style. Solid hardwood products are used to construct the frame for strength and long-lasting durability. We order our couches direct from the manufacturer so you have the option to add or remove features. The leather couches we offer to our Melbourne and Sydney customers are truly custom made to fit your home and your lifestyle! 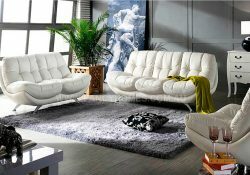 Leather sofas are not only great looking pieces of furniture; they offer the ultimate in comfort for your enjoyment. Features like adjustable headrests and high-density foam create the kind of seating you want for your family and guests. 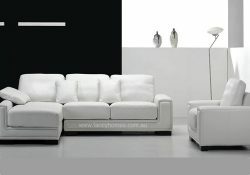 Fancy Homes delivers a great value on the leather sofas we offer to our Melbourne, Sydney and online customers. Get more features, greater quality, and more options to customise than with other furniture stores. Pay less by ordering direct from the manufacturer and get your furniture according to your specifications. There’s every reason to shop from our leather sofas for sale for your next sofa purchase! Shop online or locate our warehouse stores today!